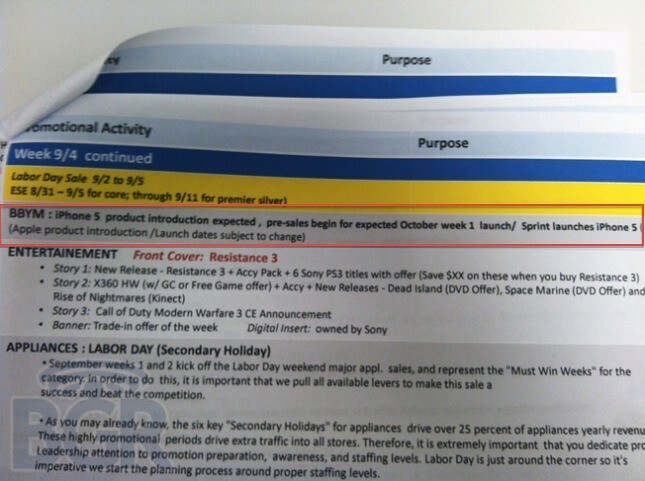 iSHSHIT: Best Buy expects Sprint iPhone 5 the first week in October? Best Buy expects Sprint iPhone 5 the first week in October? BGR reports that Best Buy’s internal sales forecast is expecting an iPhone 5 on Sprint with pre-sales beginning the first week in October. That lines up with our earlier report, though as both we and the Best Buy statement mentioned launch dates are subject to changes.